On Tuesday 7 July 2015 UCLB hosted its Annual Summer Reception. The evening was set against the backdrop of the neo-classical UCL Portico and the Flaxman Gallery. The event provided an informal networking opportunity for UCL’s researchers, guests of UCLB including representatives from UCL’s spinouts, industry, venture funds and many other collaborators to promote UCL Enterprise and demonstrate the benefits of technology and commercialisation taking place at UCL. UCLB’s Managing Director, Mr Cengiz Tarhan, addressed guests and outlined some of the company’s major achievements over the last 12 months, including the creation of Autolus, a biopharmaceutical company, focused on the development and commercialisation of engineered T-cell immunotherapy products with extreme efficacy in treatment of life-threatening cancers. Mr Tarhan then welcomed, the President and Provost of UCL Professor Michael Arthur, who spoke on the importance of technology transfer and UCLB’s successful role within the university. The presentations were wrapped up with the winners of the UCLB prize draw. 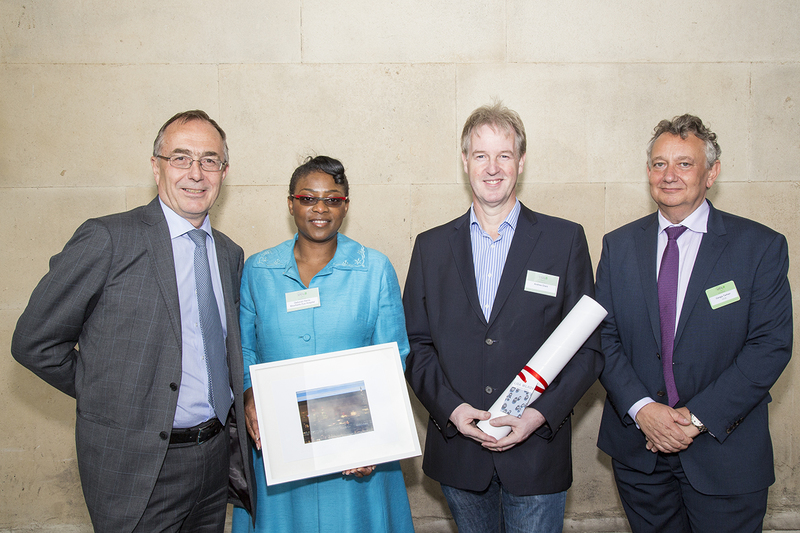 This year’s winners were Deborah Harris, Moorfields Eye Hospital, who received an exclusive signed print from the UCL Slade School of Fine Art; and Andrew Grant, Satalia, who received an exclusive hand printed silk scarf also from the UCL Slade School of Fine Art.